Are you a professional in the automobile sector ? You wish to purchase from Belgian and foreign dealers ? Our Fastback Trade platform is made for you ! Only professional buyers registered at the VAT-administration and at the Crossroads Bank for Enterprises (for traders and companies headquartered in Belgium) since at least 12 months are authorized to subscribe to the platform. 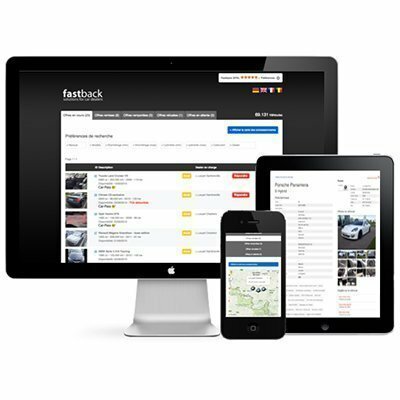 Fastback Trade is a groundbreaking solution in the field of automobile sales. You check out trade-ins from over 650 dealers and Belgian and foreign traders as to increase your purchase options. 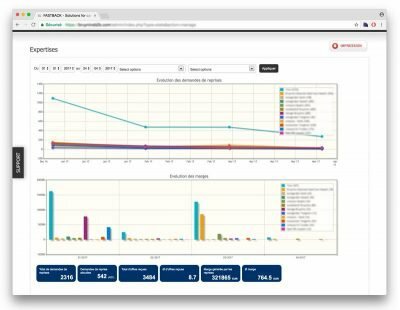 With Fastback Trade you save time thanks to the centralization of ads and trade-in requests. Moreover, you broaden your coverage area for commercial prospecting so you can find the best purchase offer for a used vehicle. You gain access to hundreds of Belgian and foreign dealers. You receive thousands of trade-in requests throughout the year. 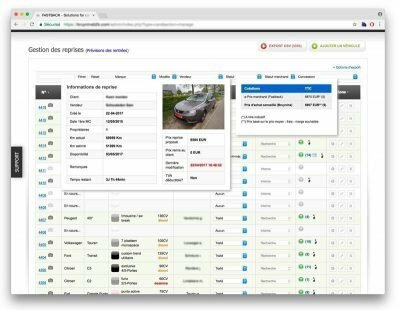 The Fastback Trade platform is available in French, English, Dutch and German. You set up your profile in order to get only those offers that interest you. You define certain criteria in function of coverage area, makes, technical criteria, etc. A trader reliability evaluation system is applied so you can promote your experience to the dealers. You receive notifications for each new offer or either by a single mail listing all of the day’s new offers. You access offers from your tablet or smartphone thanks to the mobile application. You wish to find out more about Fastback Trade’s functioning or annual cost ? Don’t hesitate to contact us ! Our sales representatives are at your disposal to answer your questions or to offer you a demonstration of our application. The Fastback UV application is a solution that allows you to swiftly and efficiently manage your UV stock !